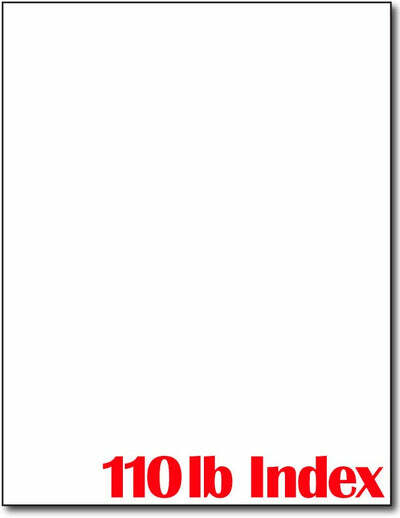 This white matte cardstock measures 8 1/2" x 11" and is made from a white 110 lb index (199 gsm) cardstock. This cardstock is heavyweight and may have trouble getting through some laser printers. Our 110 lb Cardstock Paper works perfect for greeting cards, signs, flyers, or stationery! NOTE: 110 lb INDEX stock is heavier than 65lb Cover, but lighter than 80lb Cover.